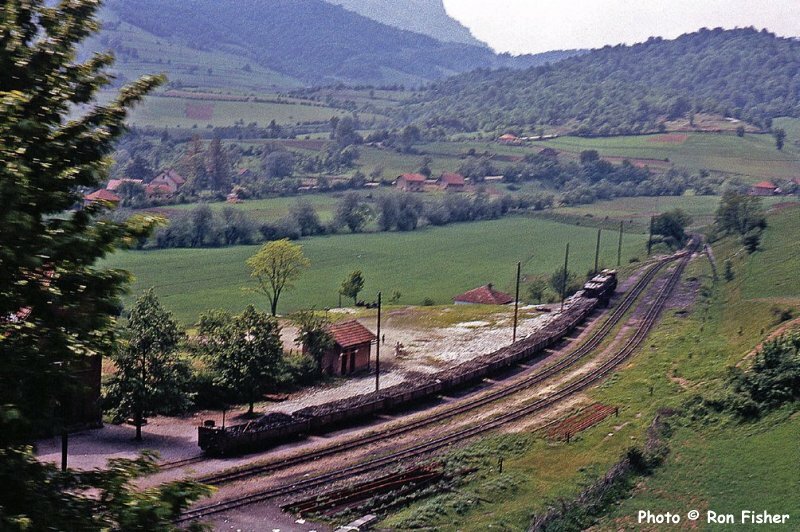 There was a time when the only rail connection between Beograd (Belgrade) and Sarajevo in the former Yugoslavia was a 760mm narrow gauge line. 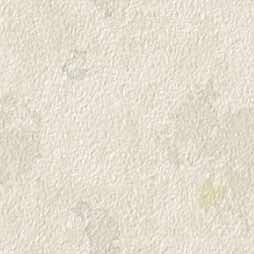 Initially there was a line from Slavonski Brod to Dubrovnik on the Adriatic coast via Sarajevo which was opened in 1901. 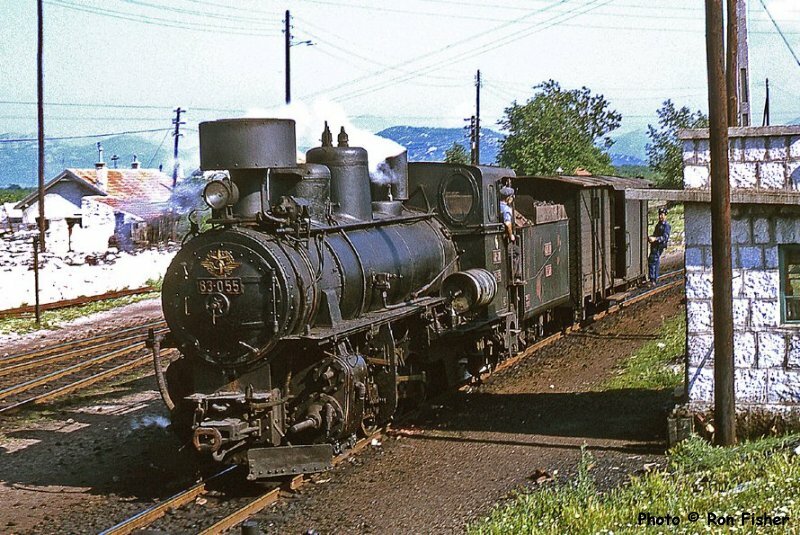 Later, after the First World War, another line was built making a direct link between Beograd with Sarajevo. A narrow gauge journey from Beograd to Sarajevo took all day, and the journey from Sarajevo to Dubrovnik took another day. Both these lines are now history, although a really spectacular section of the Beograd - Sarajevo line has recently been re-opened as a tourist railway around Mokra Gora near what is now the Serbia - Bosnia Herzegovina border.I was lucky enough to travel over the Sarajevo - Dubrovnik line in May 1966 whilst on an LCGB tour of what was then Yugoslavia and these photos were taken on that trip. Sarajevo on 25th May 1966. 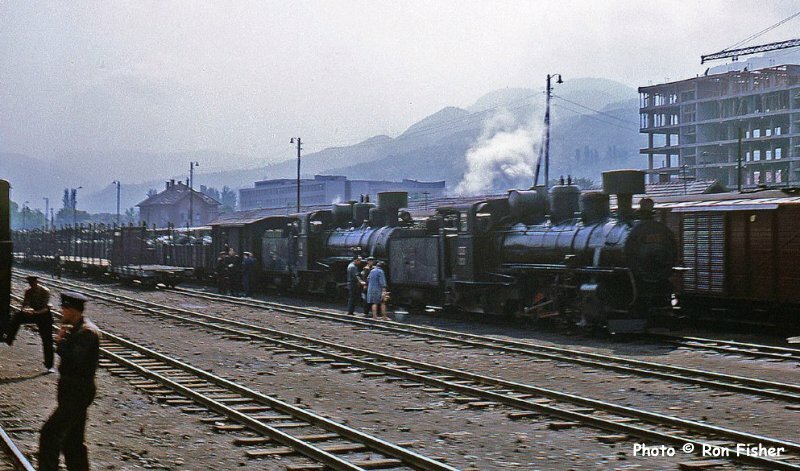 On the left is 72 Class 0-6-2T 72.002 on shunting duties and on the right is a pair of 83 Class 0-8-2s double heading a freight train with 83 014 piloting another of the same type. Ready to leave Sarajevo are a pair of 83 Class 0-8-2s double heading a freight train; the leading engine is 83 014. 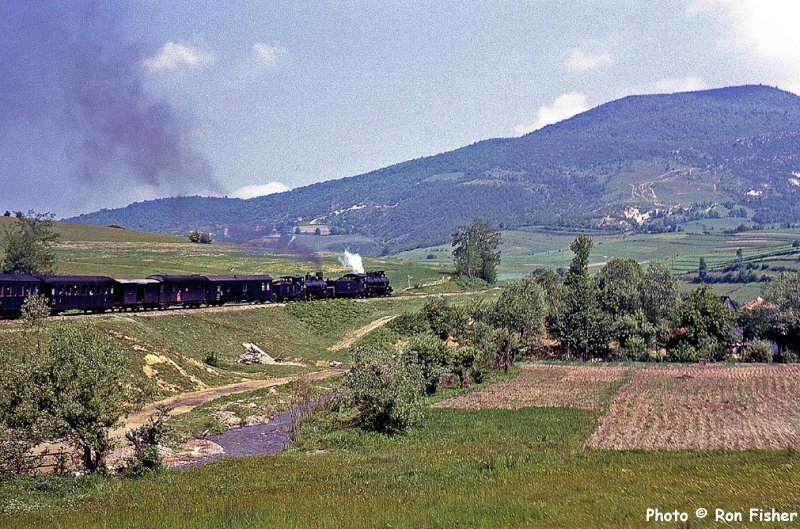 Pounding through the Bosnian countryside behind 83 Class 0-8-2 83 062 and 85 Class 2-8-2 85 029. 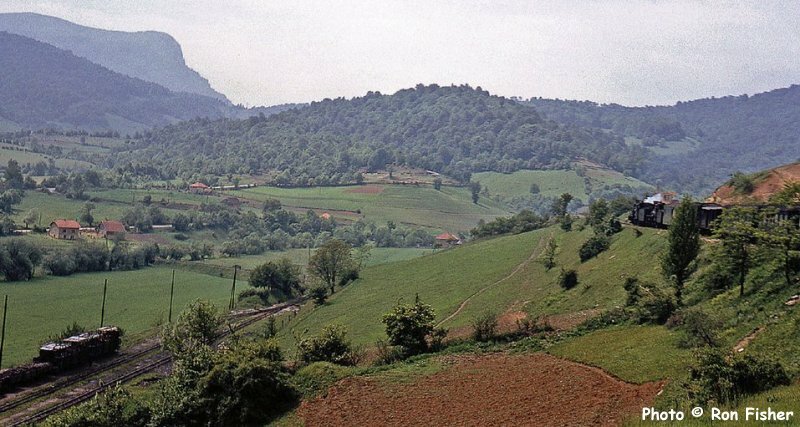 Two views taken at Ra�telica (38km from Sarajevo) as we climb towards Bradina. 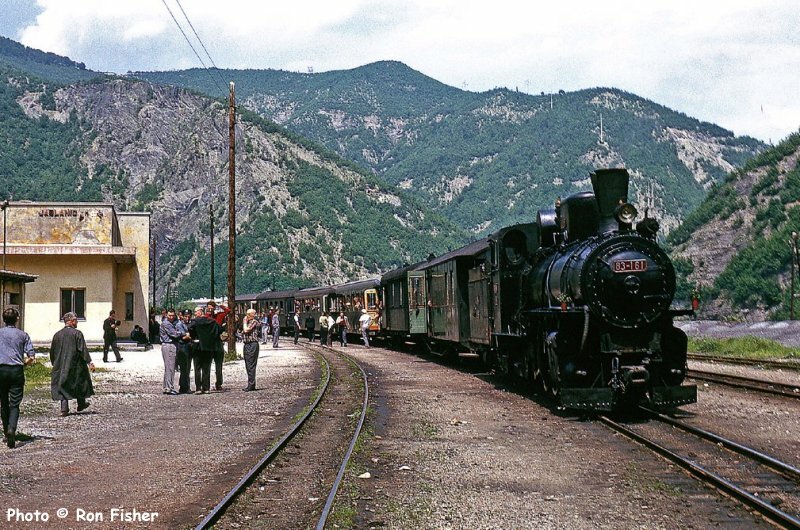 The original route between Ra�telica and Bradina over the Ivan Pass was rack-equipped but the route was re-aligned in the 1930s with a series of loops and a 3km long tunnel ending at Bradina station. 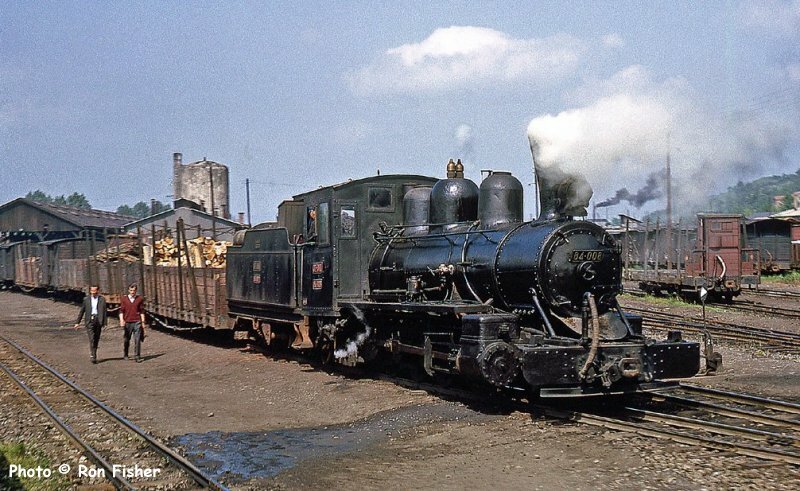 97 Class 0-6-4 97 024 at Bradina. From Bradina there is a 13 kilometer rack section down to Konjic and the 97s were fitted with rack equipment to work this section. They were four cylinder locomotives with the centre cylinders between the frames working the cogwheel rack equipment. 26th May 1966. 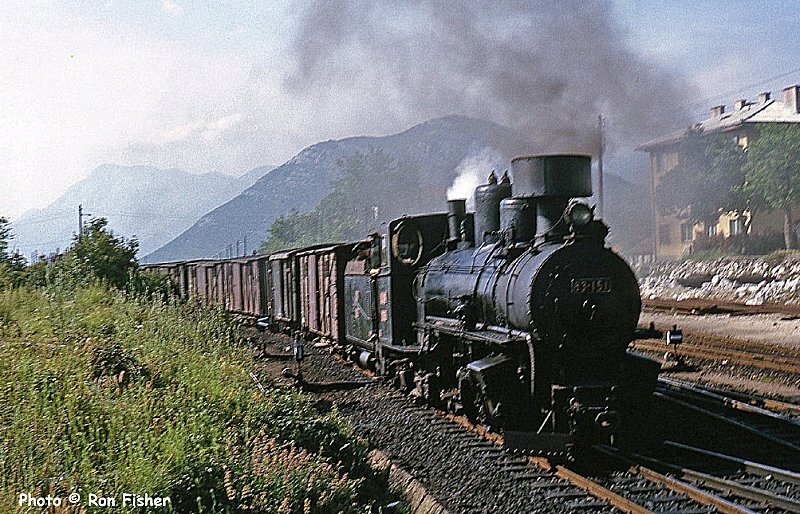 97 Class 0-6-4 97 020 at Bradina on the 760mm gauge line between Sarajevo and Mostar. 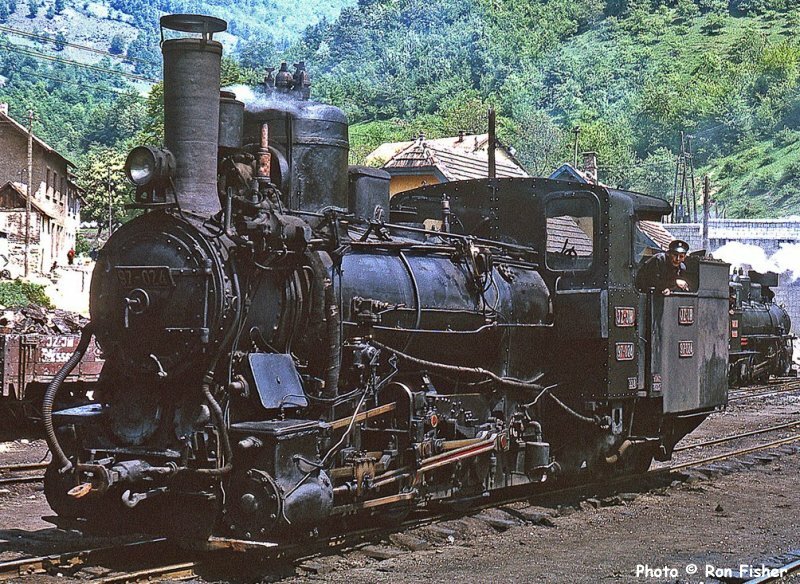 83 161 at Jablanica, about halfway between Sarajevo and Mostar.The gentleman in the long grey coat on the left is the renowned railway author and photographer Dr. P. Ransome Wallis who was also on this tour. 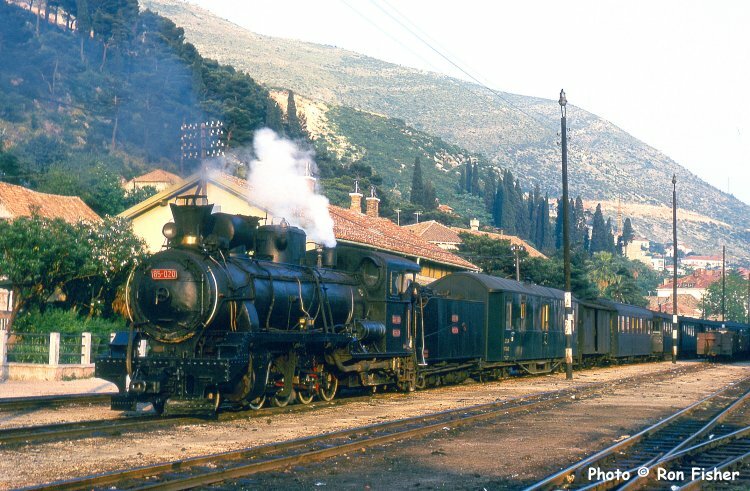 85-020 is ready to leave Dubrovnik on an express to Sarajevo, 26th May 1966. This was the last year of through trains beyond Capljina. Ron writes: Having arrived at Dubrovnik, we had a free day so, first thing after breakfast, we made a bee-line to the car hire office. Lucky we did as they only had one car available and, as we drove off in it, we saw some other member of the party heading up the hill towards the car hire office! We then spent the day photographing trains in the mountains behind Dubrovnik. 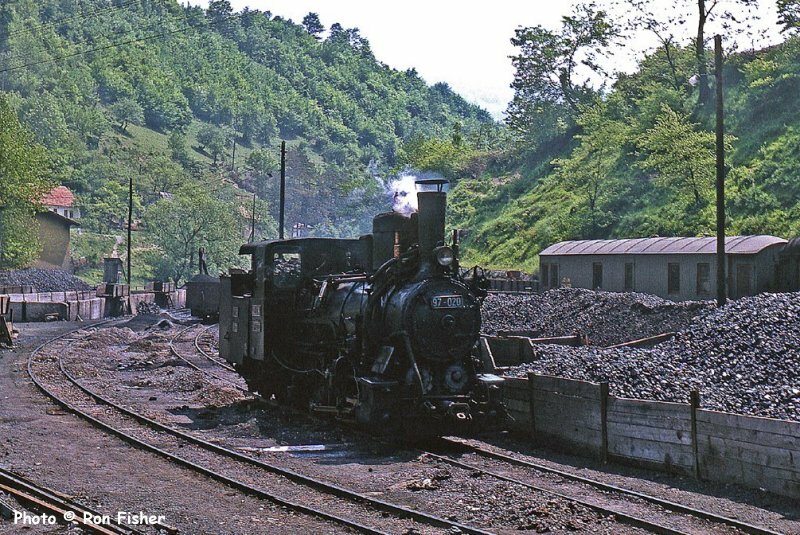 83 Class 0-8-2 83 151 on a goods train at the remote wayside junction of Hum. 83 Class 0-8-2 83 055 engaged in a spot of shunting at Hum.